This video and article looks at a Mike Krzyzewski Duke Blue Devils Zone Quick Hitter. Duke has started the season 7-1 and 5-0 at home with most recent win coming Tuesday night over Michigan State. The only loss on the season came to Kansas in the State Farm Champions Classic in New York City. Duke still plays Maine, Florida, UNLV, Tennessee State, and Elon before starting ACC play against Virginia Tech on New Year’s Eve. In the win against Michigan State, Duke shot only 45.5% from the field against the Spartans shooting 49.1%. Duke also shot a lower percentage from 3 (26.9% to 31.3%) and were out-rebounded, but the Blue Devils forced Michigan State into 18 turnovers which led to 19 points. Duke also led the game in 2nd chance points with a 16-2 advantage and grabbed 11 offensive rebounds. Grayson Allen led Duke in scoring with 24 points and 5 3-point field goals made. Luke Kennard scored 20 points and Amile Jefferson followed with 17 points and 13 rebounds. Coach Krzyzewski only played six players in the game with Luke Kennard and Matt Jones playing the entire game. This zone play starts in a 1-4 high and a wing entry pass to 2 on the left side (Allen). 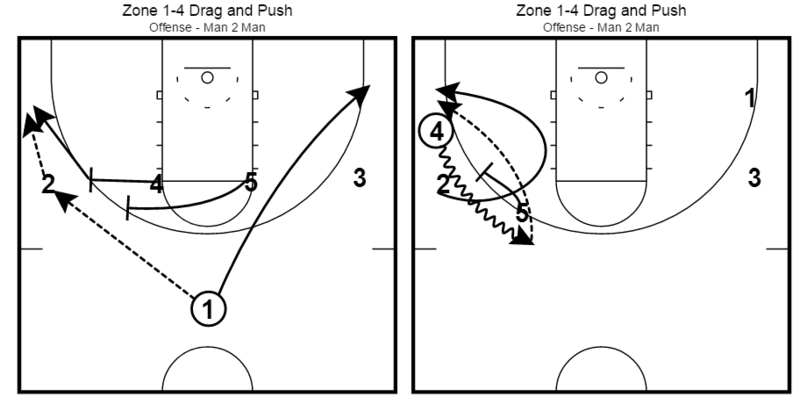 4 and 5 step out to screen for 2, and 2 quickly passes to 4 popping out to the wing. 5 stays put and screens for 2 cutting into the middle of the zone and continuing to screen as 4 drives the ball up. If the bottom zone defender stays with 4 on the drive (or even gets engaged in the ball screen), Allen quickly cuts out to the wing and looks for a throwback pass from 4 for an open 3-point shot. Wes Kosel will enter his first season as an Assistant Coach at Augustana University under Tom Billeter in 2016-2017. Kosel came to Sioux Falls after two season at Colorado College as the lead assistant. Kosel, a native of Bartlesville, Oklahoma, served as an assistant coach at Southern Collegiate Athletic Conference rival Texas Lutheran University from 2012-2014. Kosel graduated from the University of Kansas in 2012 with a bachelor’s degree in exercise science. He also has a master’s degree in physical education from the University of Houston. While attending Kansas, Kosel served as an assistant coach at Haskell Indian Nations University in Lawrence, Kansas. A life-long student of the game, Kosel honed his coaching skills by working summer camps for various programs in Texas, Colorado, Missouri, and New Mexico. 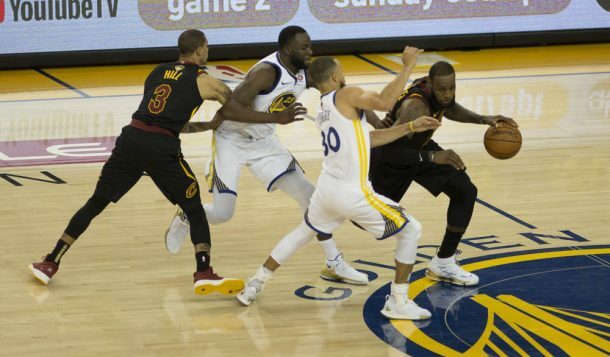 Kosel also is a Certified Strength and Conditioning Specialist (CSCS) and a Certified Personal Trainer, both of which are certifications earned through the National Strength and Conditioning Association (NSCA). Kosel and his wife, Molly, live in Colorado Springs.